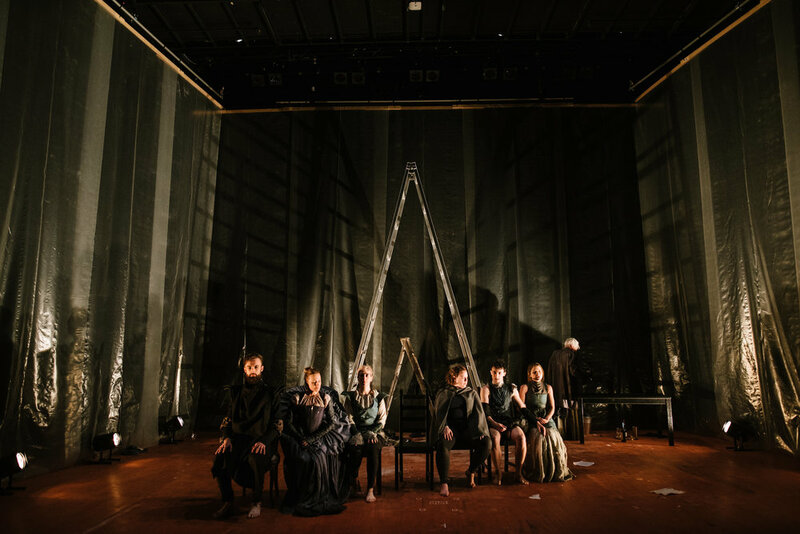 The Hamlet Apocalypse is, very simply, a contemporary performance about a group of actors staging Shakespeare’s Hamlet on the eve of the apocalypse. As the reality of the situation sinks in, the line between fiction and reality blurs: the actors, the characters and their worlds are distilled into the most base of human states. Hamlet is the perfect partner for this impending fiction. The broad plot arc is interwoven with the actors’ story and as the cast counts down to the apocalypse, their own fears, insecurities and personalities reveal some of Shakespeare’s most existential texts concrete in their urgency. This work is a dystopia of the now generation, it is a silent party, a desperate plea and a rambunctious prayer. Above all, the work at its absolute heart is about humanity, the power of death and the value of life. 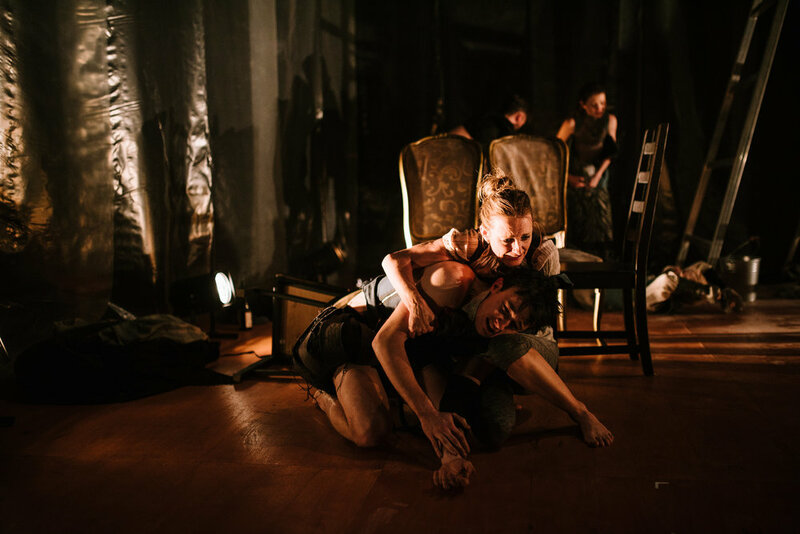 originally produced and presented at La Mama with subsequent seasons at Adelaide Fringe, La Boite Theatre Company and the Judith Wright Centre of Contemporary Arts. Supported by PowerArts.